PARIS -- Western European car sales fell 8.5 percent in December to end the year slightly lower, as emissions-test bottlenecks gave way to a broader economic slowdown and consumer jitters over Brexit and trade, according to LMC Automotive data. Registrations fell to 942,340 cars last month from 1.03 million a year earlier, the company said on Monday. Its numbers are based on national sales data and estimates for some of the smallest markets. Prospects for 2019 are "a little brighter," LMC said, predicting Western European sales growth of 0.8 percent for the year on the assumption that London and its EU partners reach agreement on the terms of Britain's departure from the bloc. 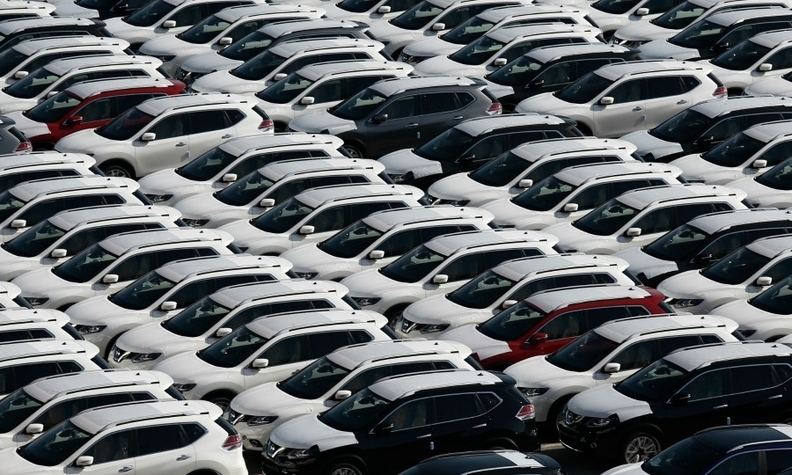 But a no-deal Brexit in March would likely lead to a 7 percent full-year UK sales decline, the forecaster said, pushing regional auto market growth into "negative territory" for 2019. The December slump, steeper than November's 8.3 percent drop, came as problems with model availabilities eased following chaotic implementation of the new Worldwide harmonized Light vehicles Test Procedure, which had dented business over the three previous months. "There appears to be other issues impacting on sales," LMC analyst David Oakley said - citing weaker consumer confidence, Brexit concerns and France's "yellow jacket" street protests, which have disrupted business and weighed on demand. The seasonally adjusted annualized rate (SAAR) of Western European sales also fell 3.7 percent from November to 12.84 million cars last month, LMC said. Registrations fell 6.7 percent year-on-year in Germany last month, 15 percent in France, 5.5 percent in Britain and 3.5 percent in Spain, while Italy rose 2 percent, according to data published in recent days.